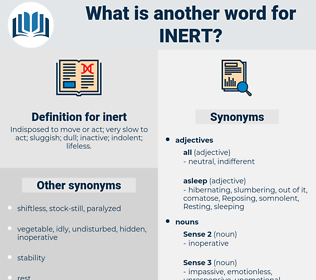 What is another word for inert? 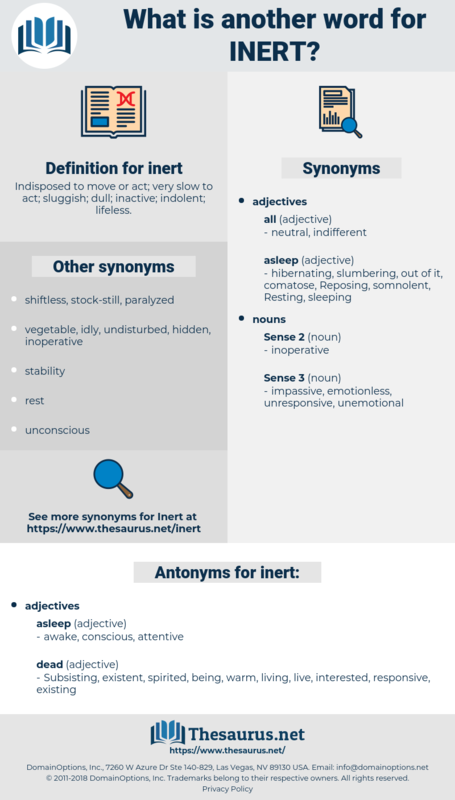 Subsisting, existent, spirited, being, warm, living, live, interested, responsive, existing. vivacious, quick, eventful, exciting, interesting, sensitive. working, active, mobile, alive, moving, animated, lively. workable, dynamic, industrious, hardworking, running, operable, zippy, usable, going, useful, feasible, kinetic, viable, practical. Mr. Haim nodded, and then without warning he dropped like an inert lump on to a chair and let his head fall on to his hand. She obeyed, positively inert with surprise.